The creative arts skills sessions can be booked via The Collection website as places will be limited. 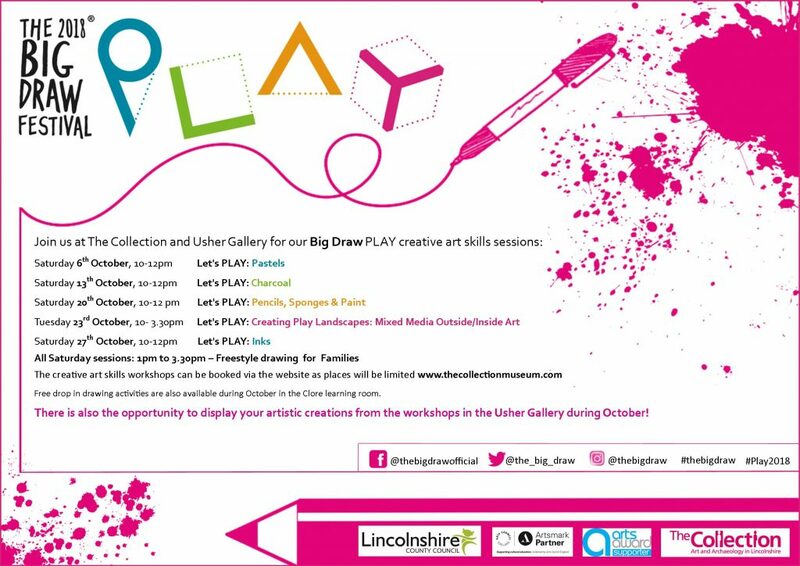 Tuesday 23rd October 10am – 3.30pm – Let’s PLAY: Creating Play Landscapes: Mixed Media Outside/Inside Art. Watch this space and The Collection website for further details. There is also an opportunity to display your art creations in the Usher Gallery during October.